If you're interested in delving into the complex tapestry that is life in Southeast Asia, then a cruise around the region is the perfect way to start, as this will enable you to sample multiple destinations in one trip. However, by choosing an itinerary that includes a stop in Singapore, many would say that you'll be able to experience the entire continent in a single city. Singapore is an exciting destination that offers visitors all sorts of unexpected surprises. Read these ten interesting facts to find out more about what the city-state has in store. 1. Singapore was made a British trading colony in 1819, and over the past two centuries has become one of the busiest ports in the world. As such, people from all over Asia have set up shop here, which is why modern Singapore is such a mish-mash of cultures and nationalities. 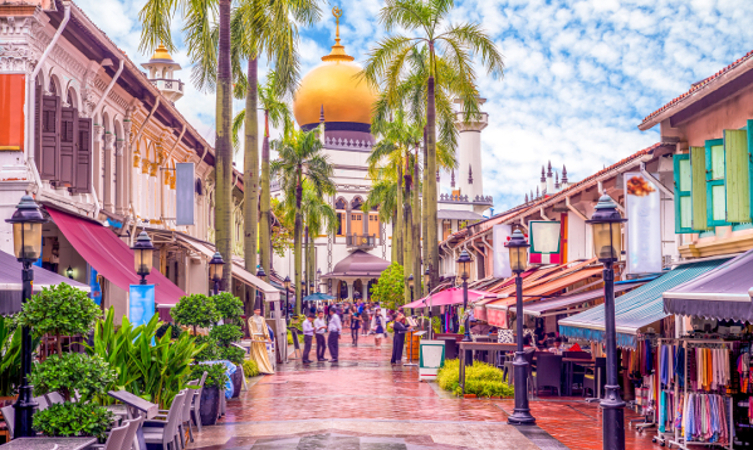 In particular, the city is characterised by its Chinese, Indian, and Malay influences, all of which come together to form the perfect microcosm of Asia. 2. The country became independent from Britain in 1963, when it joined Malaysia. However, due to economic and political disagreements, the Republic of Singapore became its own sovereign state in 1965. 3. In addition to the main city of Singapore, the state is made up of 63 offshore islands. 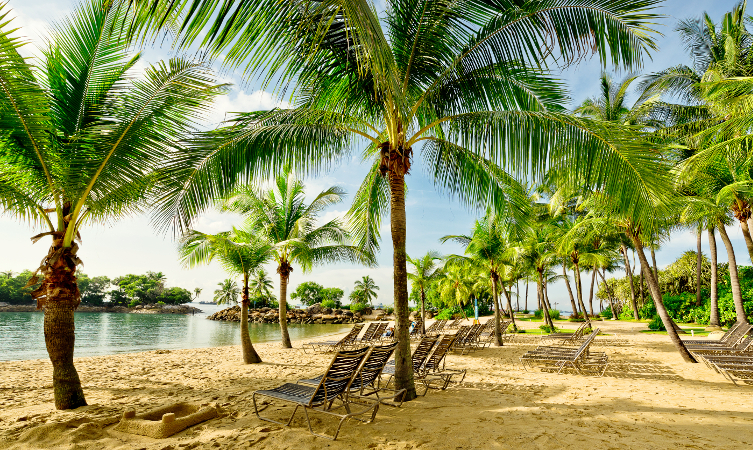 Sentosa is the largest of these, and is home to the country’s best beaches including Palawan Beach, Siloso Beach, and Tanjong Beach. 4. Singapore is a considerably conservative country. There are strict rules where public behaviour is concerned, in particular relating to alcohol. Consuming alcohol in public places is banned between the hours of 10.30 pm to 7am, and shops are not allowed to sell alcohol during these periods either. 5. The population of Singapore is one of the most eclectic in the world. Just over 75% of people are of Chinese heritage, followed by about 15% Malaysian, with the remainder being made up mostly of Indians and Europeans. 6. During World War II, in 1942 the Japanese arrived and took control of Singapore. They renamed it ‘Syonan’, meaning ‘Light of the South’, and stayed until 1945-46 at the end of the war, when the British returned. 7. Visitors to Singapore often remark on the friendly and welcoming nature of its locals. This could in part by due to the ‘Singapore Kindness Movement’ – an initiative that was introduced in 1997 to teach people of all ages the importance of manners and kindness, with a goal of creating a more gracious society. 8. 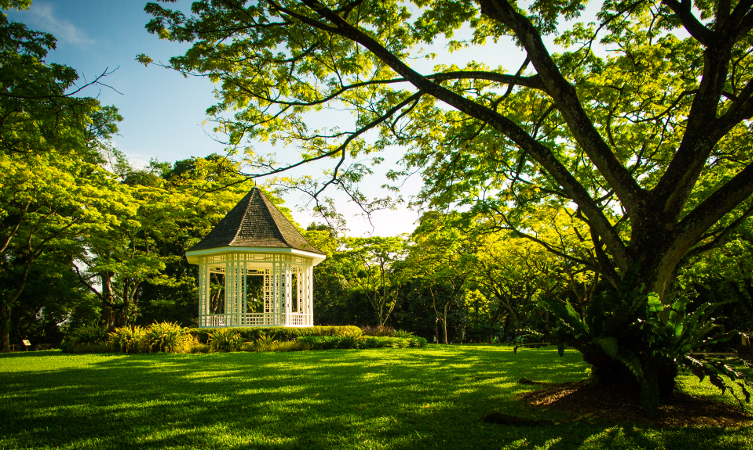 The 156 year old Singapore Botanical Garden received around 4.5 million visitors every year, and is the only tropical garden in the world to have been awarded UNESCO World Heritage Site status. It was developed by the British, and several botanists trained at London’s Kew Gardens were involved in its evolution. 9. 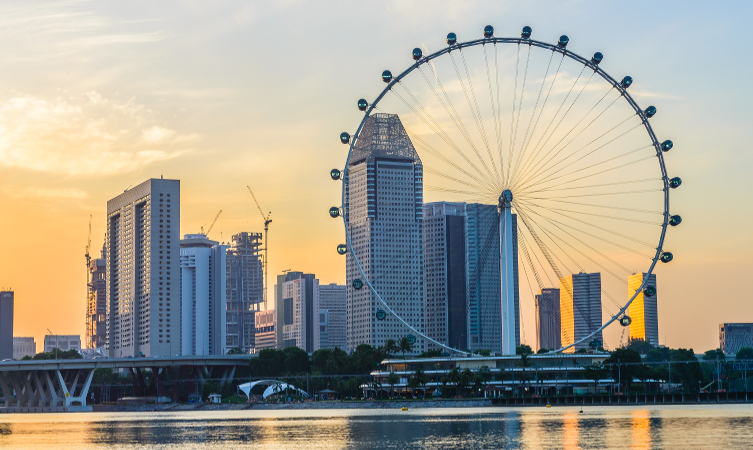 Tourists can enjoy 360° views of the city from The Singapore Flyer. Opened in 2008, at 165 metres this is the world’s second largest Ferris wheel, falling close behind the Las Vegas High Roller, at just over 167 metres tall. 10. With such a fusion of ethnicities in Singapore, it will come as no surprise to learn that a number of different languages are spoken. There are four official languages however, and these are Malay, English, Tamil, and Manderin. With such an interesting history and culture, Singapore undoubtedly has something for everyone to revel in. In addition to its museums and activities, visitors will also enjoy the fabulous range of food and drink in Singapore. For an incredible Far Eastern adventure, browse through our selection of cruises to Singapore.